How does the old saying go? 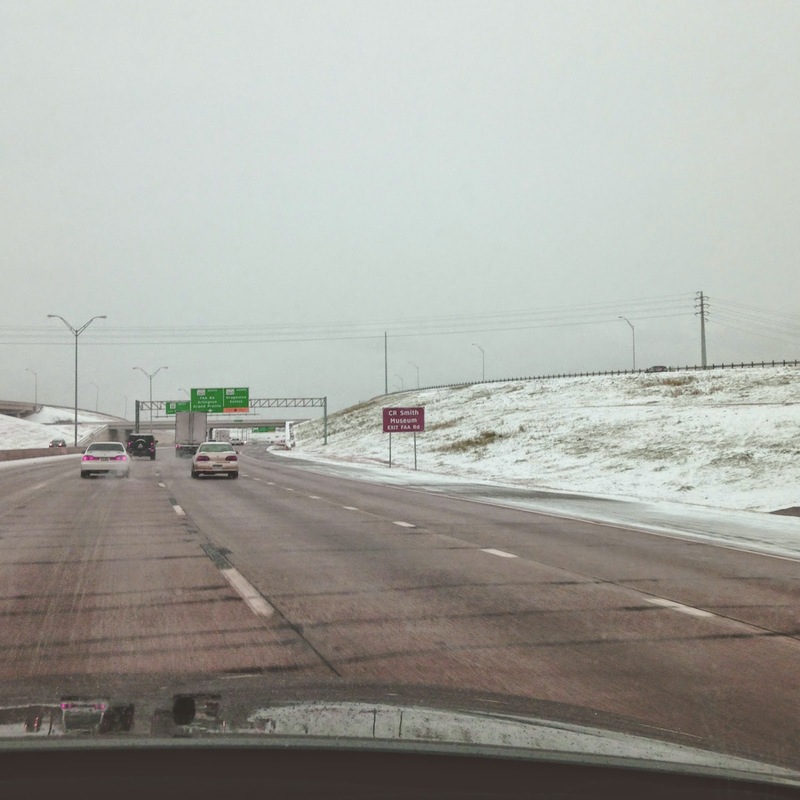 "Complain about Houston's 'cold' 50-degree weather, and later that afternoon you'll be faced with a snowy, icy, 20-degree harrowing 6 1/2 hour car trip to Fort Worth"? 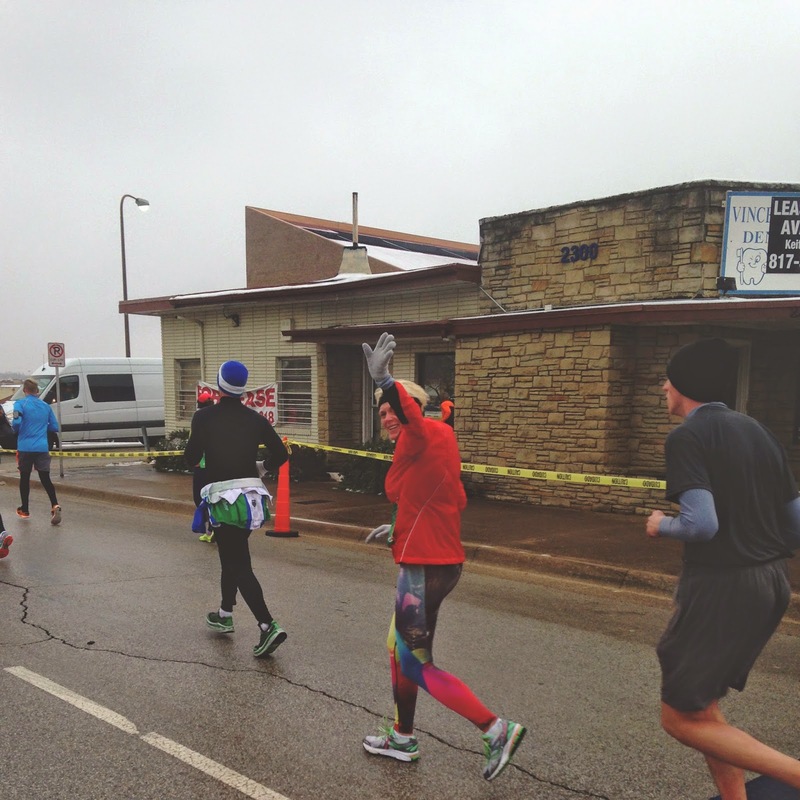 Last weekend my parents, my boyfriend Jon, and I went up to Fort Worth to pay my sister Emily a visit, and to cheer my badass mom on in the Cowtown Half Marathon (where, no big deal, in spite of slick, insanely cold conditions she achieved a personal record). 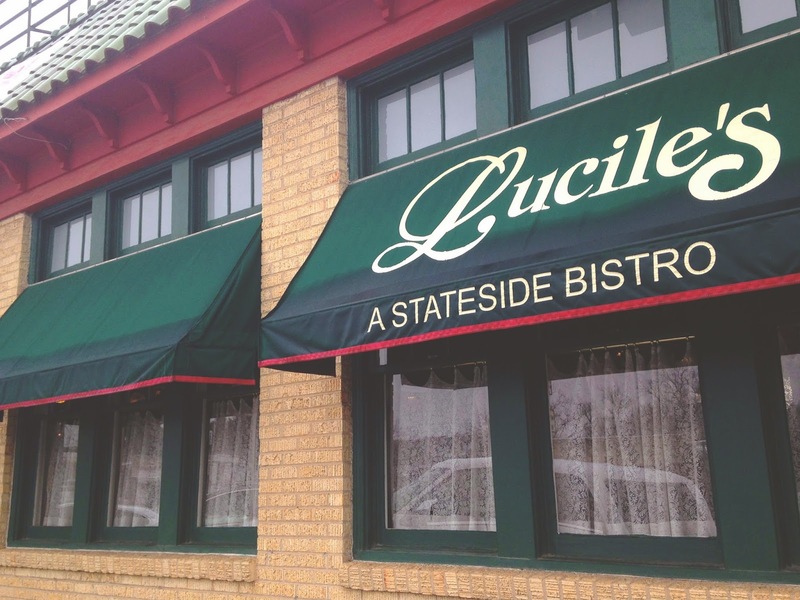 After freezing our little buns off in the snowstorm of the century (I'm only being *slightly* dramatic here), we sought refuge at Lucile's, where we had a post-race celebratory lunch! 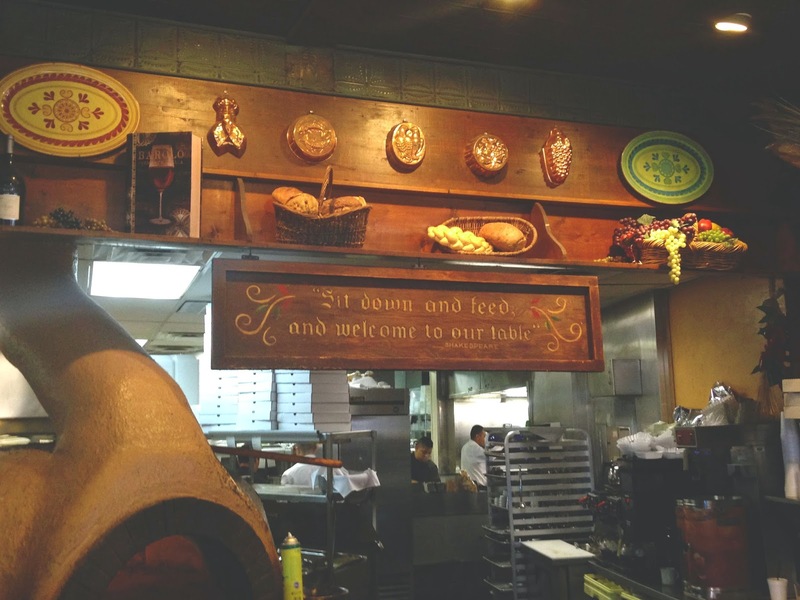 Part-diner, part-NYC Italian Eatery, part-New England clam house (sans clams? 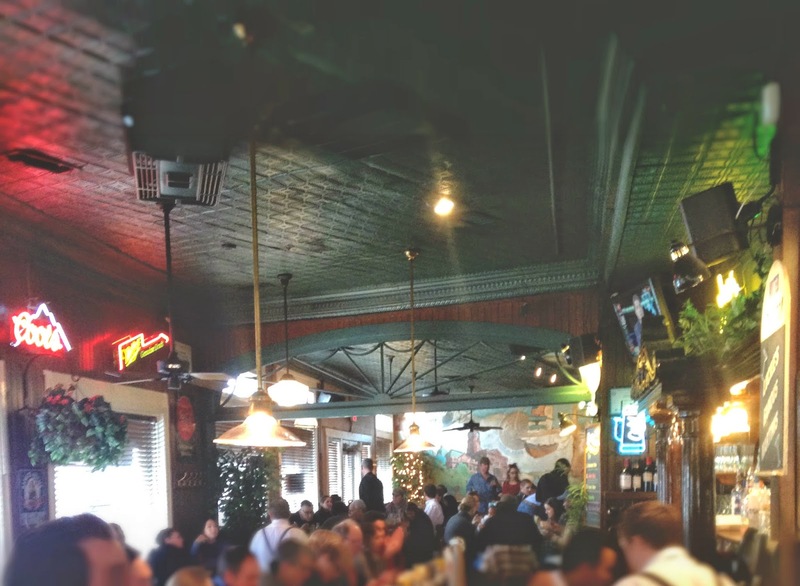 ), this hodgepodge of a little place was warm, lively, inviting, and wall-to-wall packed with people. Once our family and spectating friends were seated, and after our appendages thawed off, we were able to order from the large menu. 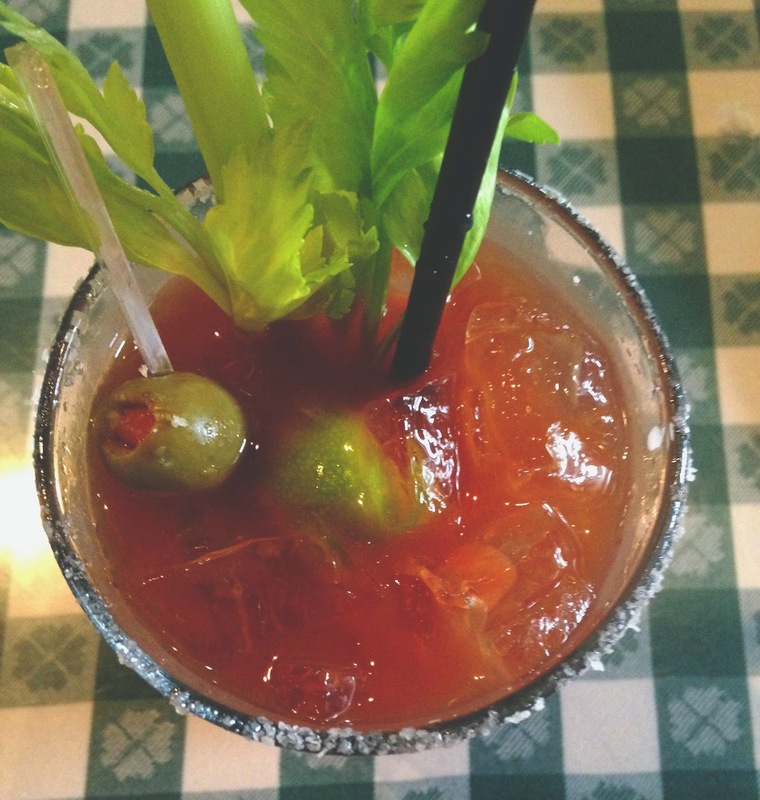 I started off with a bloody mary because I was forced to. The presentation of this bloody was terrific. Vibrant garnishes and a salt-rimmed glass had me super pumped for what was in store. Unfortunately, the drink itself was pretty watery, and only got more watery as the meal went on. Fortunately, the food was another story. 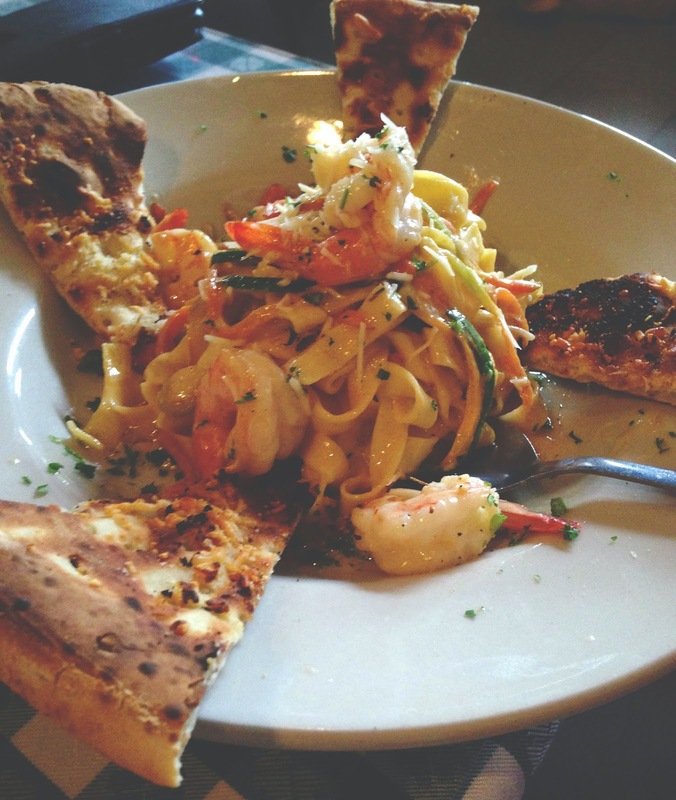 Jon ordered the shrimp fettuccine alfredo, and he was a huge fan. In particular, he was wowed by the integration of sauteed vegetables in the dish, something he'd never encountered in standard fettuccine. I tried a piece of garlic bread that came with it and [embarrassingly] inhaled it so fast that I too set a personal record that day. The inside was soft and fluffy, the outside was crunchy to the point of almost burned but not, the garlic was super pronounced, and the parmesan added a wonderful zing to this outstanding carbohydrate. Jon loved it as well, and thought the whole meal was perfectly portioned. My sister ordered the lunch-sized shrimp scampi, and while she adored the flavors, it should be noted that there was very little pasta in the dish. She felt it was lacking in that regard. I was faced with a dilemma because I wanted so desperately to order the wood roasted frittata, but Jon and Emily adamantly pointed out the fact that I always have such high hopes for frittatas and am in turn always disappointed with them. My posse knows me well. 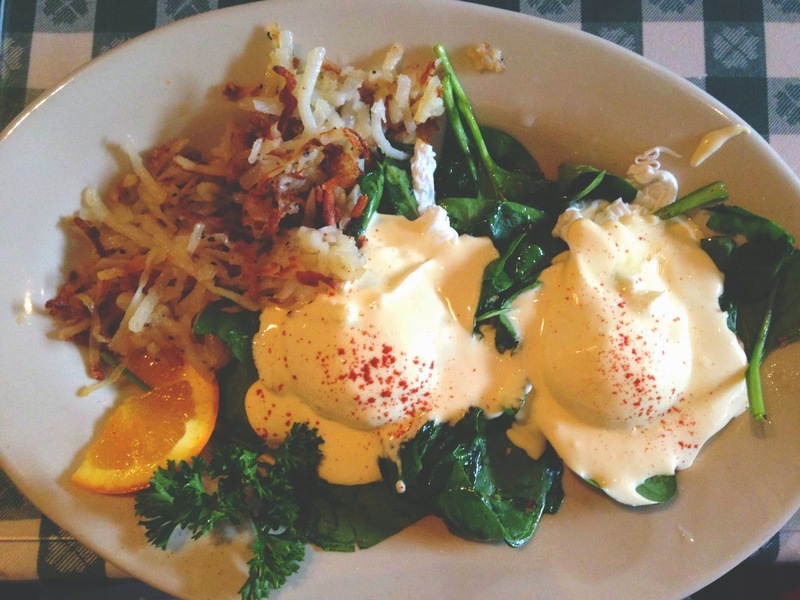 So instead I ordered the eggs florentine (poached eggs with hollandaise atop sauteed spinach and an English muffin, hashbrowns on the side) with a side of juicy, ripe fruit, and it was the best decision Jon and Emily could have possibly made. At first glance I was a little put off because the spinach did not appear to be very "sauteed." But the partially sauteed spinach provided a delightful crunch beneath the soft eggs, and slowly wilted under the heat as the meal wore on. The spinach ended up being cooked exactly right. And do you know what else ended up being cooked exactly right? The eggs. Is there nothing in this world more disappointing than slightly hardened poached eggs? No. These eggs were beautifully runny, and they swirled perfectly with the INCREDIBLE hollandaise atop them. The hollandaise was heavy on the lemon, which I was a big fan of, and there was a wonderfully generous amount there for me to enjoy. And last, but certainly not least, the hashbrowns were awesome. Crunchy, yet soft, but not at all soggy, they were not too greasy (as hashbrowns often are), and I did not feel painfully full after eating them. 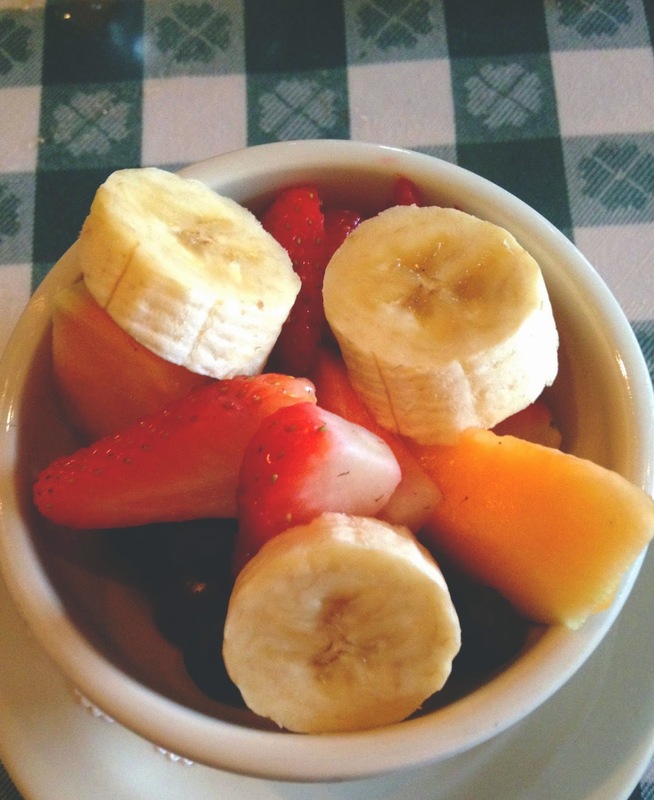 If you find yourself in Fort Worth and faced with a blizzard that would scare Boston away (again, only *slightly* dramatic), I definitely recommend the safe, comforting haven of Lucile's. If you find yourself in Fort Worth, and you're not faced with the second ice age as we know it, I still recommend going. 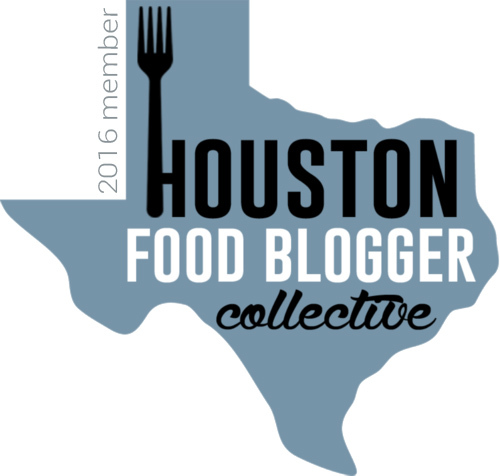 The fun, quirky atmosphere, and the delicious, comforting, and satisfying food will be a surefire hit! Pictured below: My mom being the rockstar she is. Not pictured: Me cowering behind a 172-foot snow bank.